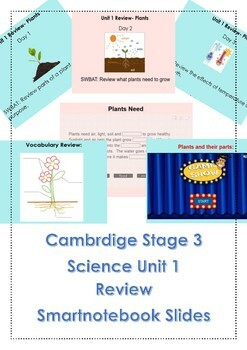 This is a review for science unit 1. 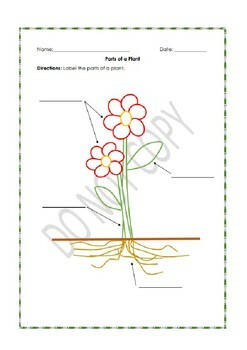 It covers parts of a plant and their functions, what a plant needs to grow, and temperature and plant growth. 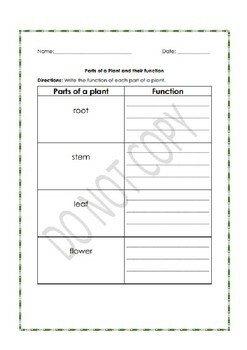 Works with Smartnotebook and Promethean Interactive Technology. The slides are broken up into three days (20 slides) of review using games to help recall important information and short review worksheets (can be purchased separately or in a bundle). 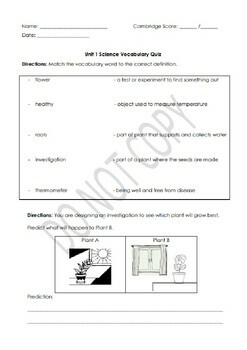 The last 3 slides are a projection of the Unit 1 Science Vocabulary exam (can be purchased separately or in a bundle).